If there is one home-grown Australian company that is able to boast growing from the humblest of beginnings, it has to be Nudie. Starting up in 2003 with a juicer in a kitchen, the brand initially hand-blended and bottled 256 pieces of fruit into 40 bottles in their first week of business. Since then, Nudie has grown to become a market leader in the manufacture and supply of pure fruit juices and other natural products. They now supply to over 5000 stockists throughout Australia (including major supermarkets, cafes, convenience store chains, independent retailers and food service operators). Of course, the journey wasn’t always easy. In an interview with the Sydney Morning Herald, Chief Executive James Ajaka explains the hard battle to keep distributors. “Some told us our juice was too expensive, its shelf-life was too short and the brand was a bit out there… But consumers were telling us it was the best juice they'd ever tasted, that they loved the brand.” Furthermore, just as Nudie had signed on Woolworths in 2004, a devastating fire destroyed the factory and everything in it. However, despite these challenges, Nudie has continued to grow ever since, and now the company holds a 20% stake (around $60 million) in the juice industry. The meteoric success of the company has been founded on a business philosophy of keeping it simple and staying true to their tagline of “creating good”. For a company such as Nudie who aim for a 72-hour time frame between processing the raw material to placing the finished product on the shelf, supply chain management is crucial. Dealing with the challenges of transporting the required amounts of fruit to the factory at the precise moment they are needed, to matching inventory supply with demand, are all in a day’s work. Nudie has been in the business long enough to know that fresh produce won’t stay that way for long and they know that leaves little or no leeway for excesses at either end of the process. 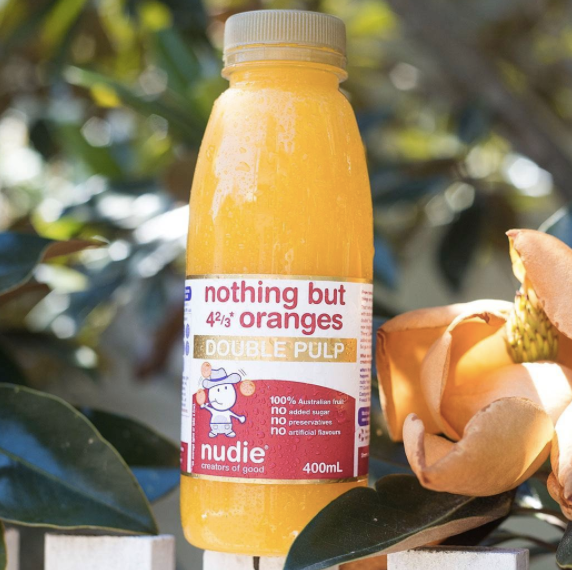 What can your business learn from Nudie’s success? Like any other successful business, Nudie didn’t arrive in their market leading position by accident or through simple good fortune. From the ground up, they did things right, but they certainly had setbacks, and whilst they probably made mistakes too, they certainly appear to have learnt from them. Whether your endeavour is in the startup phase or moving into its next growth spurt, you are likely to identify with some of the following supply chain management advice. Whilst the benefits of simplicity in business systems may have been exhorted to owners since the days of the horse and cart, it is arguable that the “keep it simple” slogan is as relevant today as it ever has been. As a business expands, and especially when it happens at some speed, there can often be a temptation to implement stop-gap or “stand alone” systems in reaction to these demands. Whilst this option may provide a short-term solution to the sudden increase in both the need for raw materials and the demand for the finished product, it has the potential to create future problems and affect the final cost of the goods sold. Therefore, business owners should be asking questions concerning whether new systems can integrate with both their existing and future management systems. One of the outstanding benefits of an efficient management system is that it will avoid wasteful excess. There is no doubt that matching the demands fo your products with Just In Time inventory is crucial for business success. By opting for a Just In Time ordering process for your inventory, you'll be able to adjust your purchases according to customer demand. You'll also be able to minimize dead stock and the subsequent losses from wastage, freeing up valuable finances that can be put towards business growth. Through utilzing efficient supply chain and inventory management systems, you can reduce excess and improve your control over your cash flow and the costs involved in holding and handling inventory. Today’s business landscape is fast-paced and constantly evolving, and that means that your business’ chances of growing or maybe even surviving, will depend on whether it matches the pace. Standing still isn’t an option, and some would even argue that there are only two types of business; those that are growing and others that are shrinking. It makes perfect sense, therefore, that any management system that your business chooses needs to have the highest possible levels of flexibility built in. From the logistics of the material input and handling product delivery to integration with accounting and stock control, the ability to function across them all will give your business a market leading advantage. Interested to learn more about automating your processes? Start a free trial now! Nudie’s success and commitment to its 72-hour promise showcases the strengths of its supply chain. By avoiding excesses, maintaining flexibility, and keeping it simple, Nudie grew from a family operation into an AU$60 million business, overcoming sceptical distributors and a factory fire along the way. Every business owner has the desire to make their business even better. It’s said that imitation is the highest form of flattery, and with that in mind, any startup or growing operation could benefit from imitating the habits of successful companies such as Nudie. What is healthy inventory management?